An affordable alternative to stretched canvas, Blick Premier Heavyweight Cotton Archival Panels are a great choice for art students, teachers, or anyone on a budget. They are manufactured using the highest-quality materials. 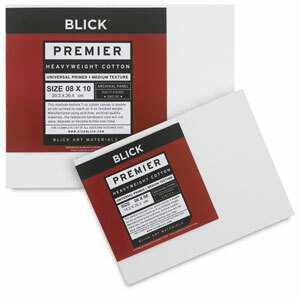 A medium-texture, 7 oz cotton canvas, double acrylic-primed to reach an 11 oz finished weight.